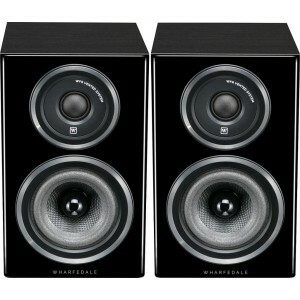 Diamond 11.0 showcases Wharfedale's iconic curved cabinet design that is back by popular demand. This high-performing and space-saving bookshelf model sits below the Diamond 11.1. 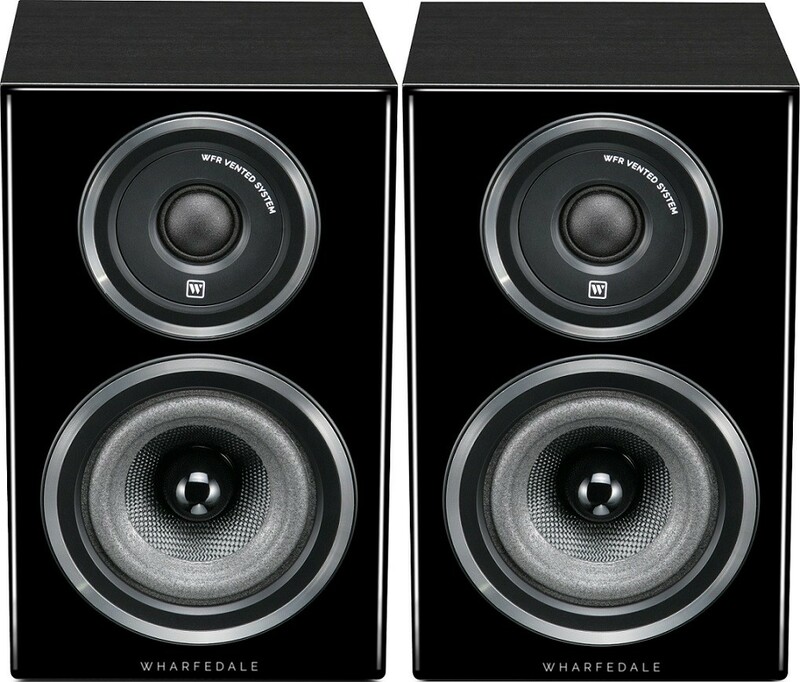 Wharfedale Diamond 11.0 Speakers (Pair) are the smallest bookshelf speaker in Wharfedale's brand new and updated Diamond 11 Series. Sitting below the Diamond 11.1 and 11.2 models, this compact bookshelf speaker also showcases a gorgeous curved cabinet that pays homage to the earlier and much-loved Diamond 9 and 10 ranges. The Diamond 11 Series marks Wharfedale's 85th birthday and the Diamond range's rich heritage of high-calibre yet affordable loudspeakers. Wharfedale's return to the ever-popular curved cabinet design exemplifies how Wharfedale has listened and responded to the desires of their fans. The Diamond 11 Series is sure to attract a whole new generation of audiophiles. The new generation of Diamond speakers introduces features not usually available at an accessible price. This accessibility runs through the heart of this design to ensure that high-calibre hi-fi is available to all music lovers. New drive units are showcases across the Diamond 11 Series. Each was designed and crafted by Wharfedale's exceptional in-house engineers in order to guarantee a stellar performance. The bass and midrange drivers across the range combine woven Kevlar cones with large magnets and unique ribbed baskets. Intricate additions like this enhance the performance of every speaker. The Diamond 11 Series utilises sandwich of woods of varying density to craft the model's cabinet walls. This innovative approach to construction ensures fantastic acoustic quality and a sophisticated standard of finish. As well as providing an exquisite aesthetic, the much-loved curved cabinet walls also enhance the model's acoustic performance. Meanwhile, an updated version of Wharfedale's slot-loaded distributed port improves bass loading and delivers a richly deep and thrilling bass sound. The drivers in the Diamond range are aimed squarely at achieving the highest possible performance, unlike most affordable loudspeakers where driver quality is eschewed. As a result, the Diamond 11 Series enjoys an advanced driver system that you would traditionally find in more high-end designs. Taking a closer look, the bass and midrange drivers utilise a basket that is kept rigid by a series of ribs which also keeps a large open area behind the cone. This combination complements each other, as the rigidity aids transient impact while the spacious open area lessens early reflections to the cone and enables the internal cabinet absorbent to come into its own. The addition of massive magnets raises the sensitivity and ensures total control of the movement of the cone over lower bass frequencies. What's more, the utilisation of a specially-designed single-forged pole with copper cap guides the magnetic flux and helps to lessen distortion through the all-important midrange zone. While the drive units are the heart of a loudspeaker system, they would be nothing without the integration of a precisely derived crossover. The bass/midrange and treble units seamless combine thanks to Wharfedale's high-calibre virtual crossover software system. Stringent listening tests with an array of musical genres were used to evaluate these circuit options. Once the definitive circuit strategy has been selected, the design team delicately tunes the crossover component values, the type of components and the circuit board format to deliver the most accurate, detailed and, above all, pleasurable musical performance using only listening tests as a marker of quality. The realistic qualities of vocals and natural instruments are given special attention, as these are always at the forefront of listeners’ judgement of a loudspeaker’s performance. The combination of precise attention to detail with fantastic technical design, encapsulates the enduring appeal of Wharfedale Diamond speakers and their superior position in the affordable sector of the hi-fi market.